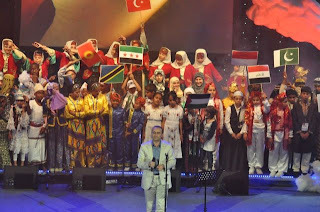 The 5th International Orphans’ Get Together Program took place in a wonderful atmosphere at Haliç Congress Center on Sunday and I was lucky enough to be apart of it all. 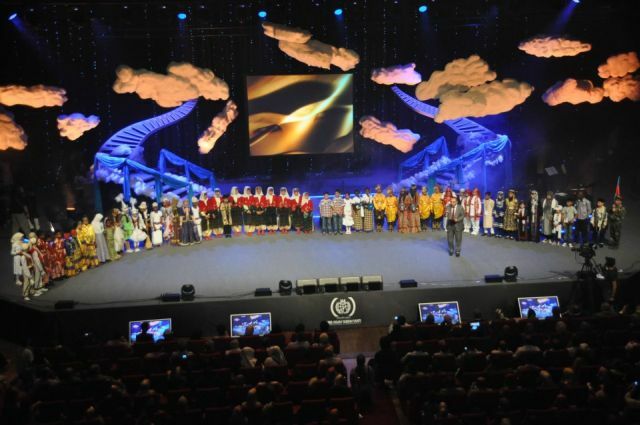 Organized by the IHH Humanitarian Relief Foundation, the event took place at Haliç Congress Center in Sütlüce, İstanbul. 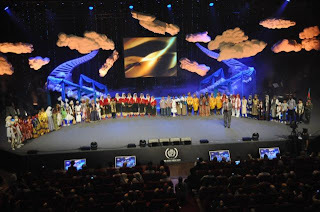 The event was attended by 80 orphans from across 14 countries including Albania, Azerbaijan, Indonesia, Philippines, Palestine, Iraq, Kyrgyzstan, Pakistan, Sierra Leone, Somalia, Sri Lanka, Tanzania and Turkey. The children made prayers, sang hymns and performed local and colorful routines on the stage. Delivering the inauguration speech of the event, IHH President Bülent Yıldırım shared some worrisome statistics about the situation of the orphans in the world. He said there are around 200 million orphans in the world who need help and most of these orphans are in the Islamic world and that they are in need of education, healthcare, accommodation and food. IHH takes care of more than 25,000 orphans and are looking to increase this figure,to 100,000 within five years and ask people to give support to the Sponsor Family Project and undertake the care of an orphan. 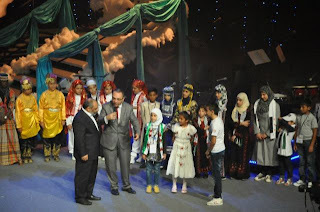 Children coming from Van and Syria gave flowers to Yıldırım and offered their thanks to him for the IHH’s relief efforts in their regions. 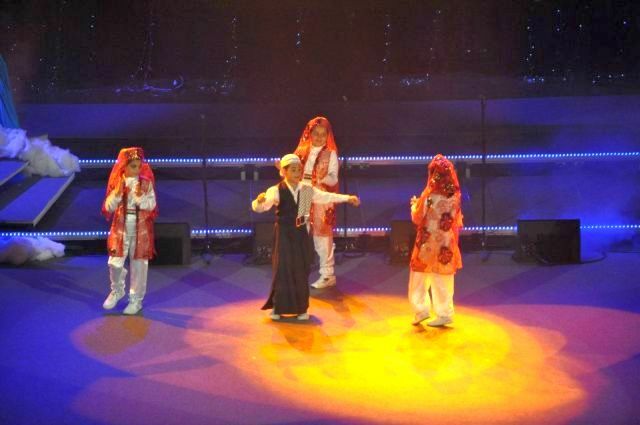 Musicians Mesut Kurtis and Ömer Karaoğlu gave mini concerts at the event, and the award ceremony of the White Pigeon Short Film Contest organized this year with the theme of “Holy Trusts,” with a reference to orphans was also held. The event, which brought together orphans, state officials and representatives from non-governmental organizations from 14 countries, was broadcast live by national and international TV channels and radio stations. All in all it was a fabulous time. IHH brings together orphans supported through the Sponsor Family Project from various parts of the world. A sponsor family makes a monthly donation of TL90 (around 40 euros) for each of the orphans they care for, this money is used to meet living and education expenses of the orphans and prepare a better future for them.